If you are considering working with me but would like to know more, please Schedule a Free Consultation Call to see how I can help you. Do contact me by completing the form below and I will respond within 48 hours. Have you outgrown your current job? 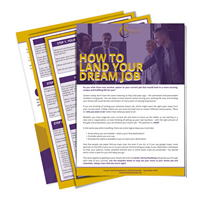 Download my Career Clarity Roadmap and take the first step.......... or the proven six steps to get some clarity about your new career direction. You will also be subscribed to my fortnightly newsletter where I share advice, tips and techniques to help you master your management skills! We will never share your contact information with third parties and you will have an option to unsubscribe at any time by clicking unsubscribe at the bottom of each one of our newsletters. Thanks for subscribing! Check your inbox for a confirmation email and the link to your free download.